One of the best investments you can make is the investment in yourself. 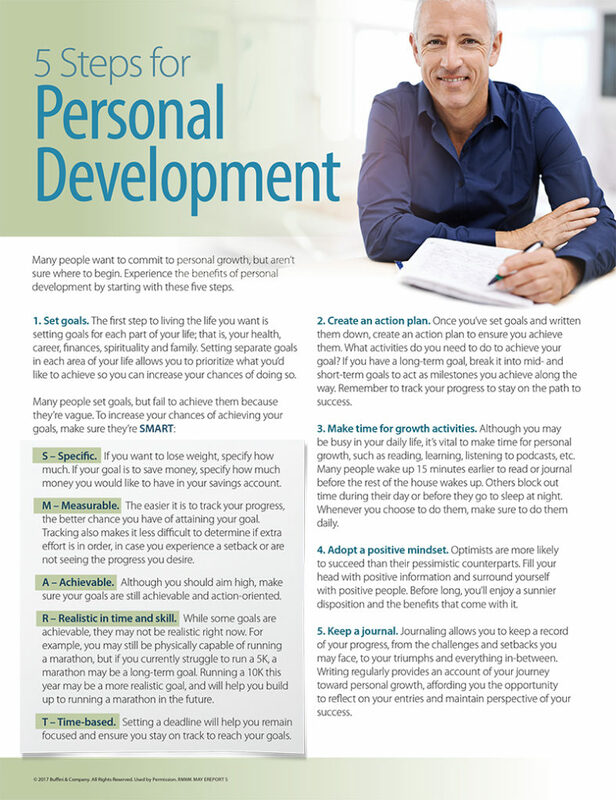 Personal development is more popular than ever as more people strive to achieve higher levels of success. This month’s information outlines seven ways to invest in yourself through a commitment to personal growth. From taking seminars and reading more books to listening to podcasts and finding a mentor or coach, the list includes options for even the busiest person. The piece also includes the benefits of adopting a growth mindset and committing to lifelong learning and personal development. Achieve more success in all areas of your life with these helpful tips. Share this information with your family and friends to help them achieve their goals as well.